Continuing with the theme of providing its customers a variety of events from the new management of Meson La Orza, we offer you a night of Bingo from 21.30 until late on Thursday 18th November 2010. Prizes will be based on the number of tickets sold. 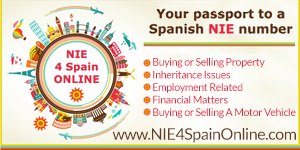 Both Spanish and European clients welcomed. Meson La Orza, under new management in La Mamola invites you to a live Flamenco show on Friday 22nd October 2010. The entertainment starts at 10pm and continues until 12pm, the night is to launch the new Bar/Function Room, based directly on the sea front in La Mamola. All welcome and entrance is free.